The Bailey House is a historical house and museum operated by the Maui Historical Society. It houses the largest collection of Hawaiian artifacts on Maui, many dating back to the 19th century when the house was built. The home was constructed as a mission in 1833 on what was then the royal compound of Kahekili, the last ruling chief of Maui, and the second story contains many of the koa wood furniture that belonged to the missionary Edward Bailey, who lived in the house. The first floor contains remnants of native Hawaiian life, from wooden bowls and utensils to spears and shark teeth used in battle. The museum also houses a private collection of Edward Bailey’s paintings of Maui along with the oldest surviving photographs of the island. Outside you can view dozens of native Hawaiian plants in the house gardens. There is a 100-year-old outrigger canoe and a historic surfboard that belonged to Duke Kahanamoku in an outdoor gallery beside the entrance to the house. 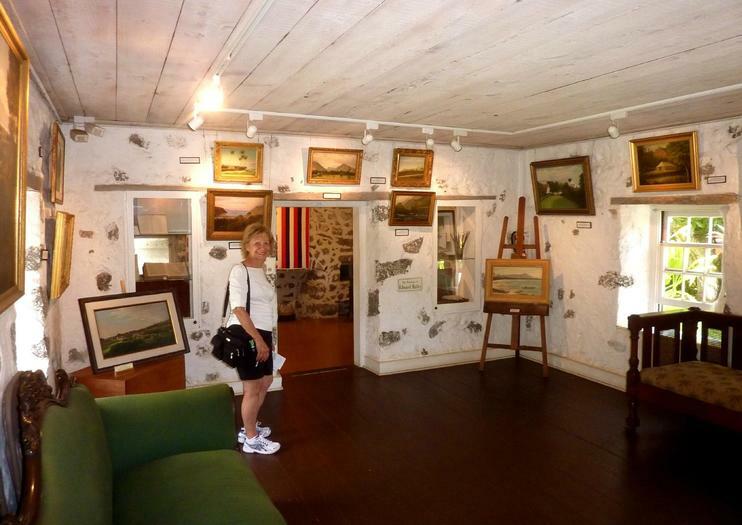 The Bailey House Museum is located at 2375-A Main Street in Wailuku on the island of Maui. It is open Monday to Saturday from 10 a.m. to 4 p.m. Admission is $7 for adults, $5 for seniors and $2 for children 12 and under. It is closed on Sundays and major holidays. Hours: Mon-Sat 10 a.m. to 4 p.m. Closed Sundays and major holidays. Admission: $7 for adults, $5 for seniors and $2 for children 12 and under.